It is a pleasure to welcome recording artist Deborah Silver to Jake’s Take. Born in Mississippi, the singer-actress has mastered the Great American Songbook and honed her craft by performing across the United States including at prestigious venues such as Lincoln Center and Feinstein’s/54 Below. Also, Ms. Silver also had the opportunity to perform for the United States Military as a part of Bob Hope’s USO (United Service Organization) Tour. 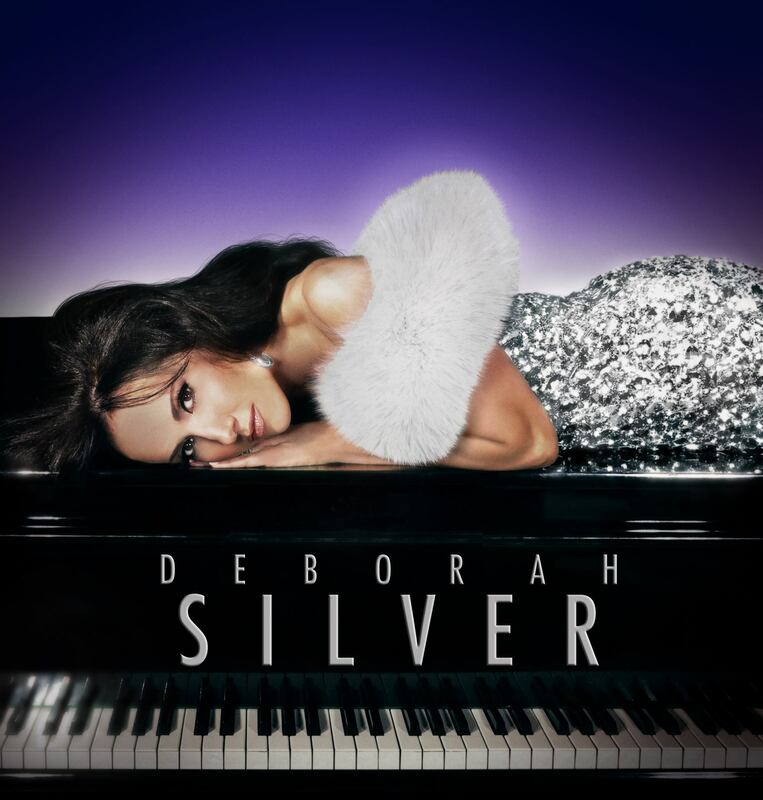 Recently, Ms. Silver released her latest studio album, The Gold Standards. Produced by the Grammy-winning producer Steve Tyrell and Jon Allen, Silver transported listeners to the Great American Songbook’s glory days through 13 tracks of songs written by the Tin Pan Alley elite. The Gold Standards also includes duets with iconic Jazz artists including Jack Jones (“I’ve Got A Crush on You”) and Ann Hampton Callaway (“The Glory of Love”). The Gold Standards received praised from numerous media outlets including LegendsRadio.com and The Society for the Preservation of the Great American Songbook, who awarded her with the Legend to Be Award for Album of The Year by a Newcomer. Also, The Gold Standards peaked at the top of five Billboard charts! Outside of music, Ms. Silver is extremely active in the fight against Lou Gehrig’s Disease (ALS). Ms. Silver and her daughter, Madison, recently established the non-profit: Slam the Door on ALS Forever (SLAM ALS) to stop the disease from spreading across the world. In this edition of A Conversation, Deborah talks about her album, revealed her reaction to being placed on five Billboard charts, her thoughts on auditioning for America’s Got Talent and The Voice, and her campaign to SLAM ALS. Jacob Elyachar: When did you first get interested in music? How did that passion evolve into the desire of working in the music industry? Deborah Silver: I have always loved music. Music was a constant presence in my home. My father was not just a businessman, but he was also a saxophone player. My mother was an opera singer. While I had both piano and dance lessons in my childhood, I did not start performing as a solo singer until I was in college. I was a performer that acted, danced, and played the piano in front of audiences, but I never wanted to sing alone. Things changed when I got to college; I started to perform in musical theater. My parents went to my first show and during my performance. While I was singing, my mom leaned to my dad and said: “Bob, Debbie can sing!” Everyone who knew me was shocked by this revelation because singing was not the one thing that I would do around other people. JE: Let’s talk about your latest album: The Gold Standards. It features several valuable songs from the Great American Songbook. What factors did you consider when you and your production team when it came to selecting the songs that were featured on the album? DS: I originally wanted to do this album because I wanted to bring back songs that have been done in the past. I wanted to change them up and put my Silver spin on them. My team and I went through many songs. The song choice was a crucial factor throughout the recording process. Besides song choice, we also took into consideration the arrangement quality, the style, and the overall production value. But, the lyrics were always the deciding factor. I constantly asked myself: “Why would I be singing a song like this? Or ”How would this song highlight my personality?” throughout the recording process. One of the final songs that we put on the album was “The Glory of Love.” It is such a simple song, but “The Glory of Love” has such a great history behind it. Billy Hill wrote the song, while artists such as Benny Goodman and Jimmy Durante have covered it. “The Glory of Love” is one of those songs that takes your breath away. I am happy that my producer, Steve Tyrell, and I added the song to the album. An amazing extra bonus was that my friend, Jazz legend Ann Hamilton Callaway, recorded it with me and it was amazing to record the song with her. JE: You had the opportunity to work with jazz great Jack Jones. What were some of the lessons that you learned from him that helped you grow as an artist? DS: One thing that impressed me about Jack Jones is that he is very serious about the music, the details, and the quality value of the recording. Jack is truly a legend. He told me that he won the very first Grammy Award at the inaugural Grammy ceremony. Jack also added that at the fourth Grammy Awards ceremony that he beat out Tony Bennett’s “I Wanna Be Around.” Jack has an adamant background in music, and he was very instrumental in our recording session. His technical suggestions to the arrangement such as adding music elements to the track were very helpful. I was very appreciative to Jack and felt very fortunate to have him help out in the recording process. JE: The Gold Standards peaked at the top of five different Billboard charts. What was your reaction when you learned about that achievement? DS: The first thing that I said was, “Am I reading this upside down?” (laughs) It was an amazing feeling. I was also overwhelmed with the support that this album received. I am very appreciative to every single person who supported this project and got us to that level. I have put aside a lot of my career to be a stay-at-home mom. What is cool is that shows other women and men who have given up a lot of their career to raise their families that it is never too late to go after their dreams. Timing is everything, and I was at a point in my life where my children have grown up, and it has allowed for me to get back into my craft and go back to work. I encourage everyone to go after their personal dream. If you want to do something, get your schedule together and take the time to make your dream happen. JE: A lot of people that are in your situation turn to talent competitions such as America’s Got Talent and The Voice to rekindle their dream. Has the thought of auditioning for those two shows ever crossed your mind? DS: It is so funny that you asked me this question because I was having a conversation with my sister and begged me to audition. As a parent, I said “Oh my gosh! I could not do that because all of my children’s friends would see me. (Laughs). Whoever auditions for those shows are so brave because they put themselves in the front of the world. But, you will never know. I have had friends who have successfully auditioned for those shows. One of my friends is Billy Gilman, who was The Voice: Season 11 Runner-Up. Both of us work with the same vocal coach and work with the same manager. People are going back and doing these amazing competition shows, which are helping their respective careers. So, I would love to take it off my bucket list. When my children were younger, I was focused on them and taught them the necessary things they could not learn while they were in school such as giving back to the community, to the world, and getting involved with charities. JE: You are a massive supporter of the campaign to squash ALS (Lou Gehrig’s Disease). Could you describe to my readers how you got involved and what they can do to help? DS: I have been involved in the last several years to help find a cure for ALS. My sister, Marjie, is one of the victims of this horrendous disease. Hundreds of people are living with that illness, and there is usually a time limit with ALS. Most people survive anywhere between two to five years after diagnosis. I have learned so much about Lou Gehrig’s Disease that I realized that numerous things need to happen for this campaign to squash ALS to be successful. It takes a billion dollars to bring a drug to market, and we do not know what that drug is yet. One fabulous way that we brought attention to ALS was the Ice Bucket Challenge. We raised a lot of money, and it has been used to for research purposes. But, more resources are needed to find a cure to ALS. My daughter and I started SLAM ALS, which is a continuation of the Ice Bucket Challenge. We asked people to slam something and posted it on either Facebook, Instagram, or Twitter. In addition to slamming the object of their choice, we asked them to donate anything from a dollar on up, and their donation goes directly to SLAM ALS. We are partnering with a New York-based 501c3 organization called Project ALS and 100-percent of all funds raised to Search for the Cure, another lab that is at the forefront of this research. We were very fortunate to have many familiar faces get involved with this project including 11-time Tony-winning performer Tommy Tune, Vanilla Ice, Larry King, and numerous professional athletes who all slammed different items for our campaign. We also had creative entries such as an ice cream worker slam frozen food on the counter, banging things on a trampoline, and even people slamming pies into their faces. We hope that people get involved and have fun with this campaign, but also pass it along to social media. If they do that, then more people will get to learn more about ALS and help us form a stronger community dedicated to eradicating this cruel disease. JE: How do you use your music to help others? DS: I donate my show on several occasions of the year to benefit others. I feel that is where I can give to the world and I think it is so great and so special to give back. I also enjoy hearing about other artists who are giving back to their communities. There are so many generous people out there in this world, and if everybody in the music industry can take up a cause every once in a while and share their music or art, I think the world would be even a greater place than it already is. JE: If you had the chance to meet with aspiring singers who want to have a career in the music industry, what advice would you share with them? DS: I was born and raised in Mississippi and soul music surrounded me my whole life. Everywhere I go, I carry a part of my home with me. I always hope when people listen to my music they feel like they are at home. There is something special about every single person in this world, and if they can find what it is that makes them feel special, then you can put it in the music because that is going to make others feel special. They should also not be afraid to dedicate to only one genre of music. My shows are very eclectic because I can perform numerous styles of music ranging from jazz and the blues to country and Broadway. When I record an album, I take all the musical genres into consideration, but let the lyrics lead me, however, always keep an open heart, and I encourage any aspiring singer to do that. I would also strongly advise them to open their hearts and find a way to give back to their communities. 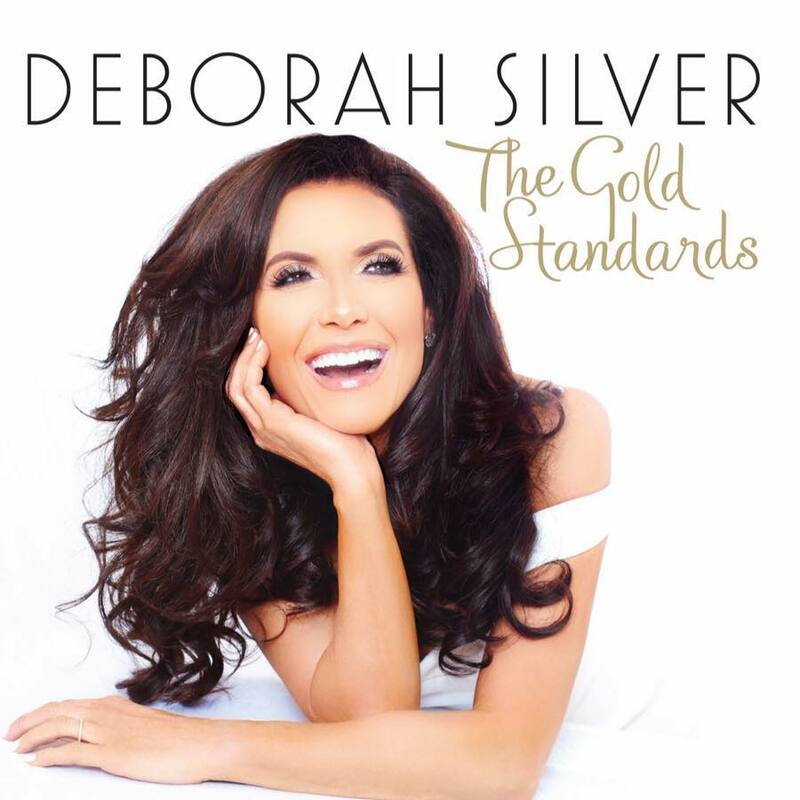 For more information about Deborah and The Gold Standards, visit her website! To learn more about how you can help Deborah SLAM ALS, click here. You can also connect with Deborah on social media. Visit her Facebook, Instagram, Twitter, & YouTube channels.